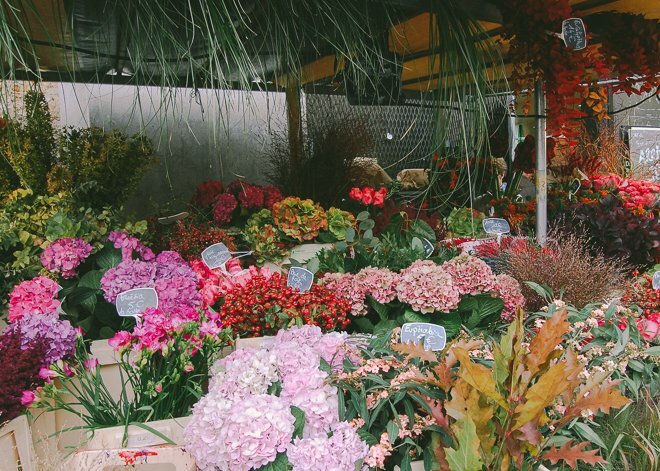 What is it about open-air markets that gets us so inspired? Could it be the hustle-and-bustle atmosphere, stall-keepers shouting and people walking in all directions? Or perhaps it’s the beautiful produce, bright tomatoes and earthy mushrooms? I think it’s all of these things combined that make us feel like we’re part of something truly cultural. Open-air markets feel more authentic, more like a community, and give us the sense that we’ve gone back to a time in which we valued and respected the fruits of the earth. Today, with busy work schedules and commutes, it can be easy to get stuck in a routine of frozen pizzas, Chinese take-out or microwaveable meals. 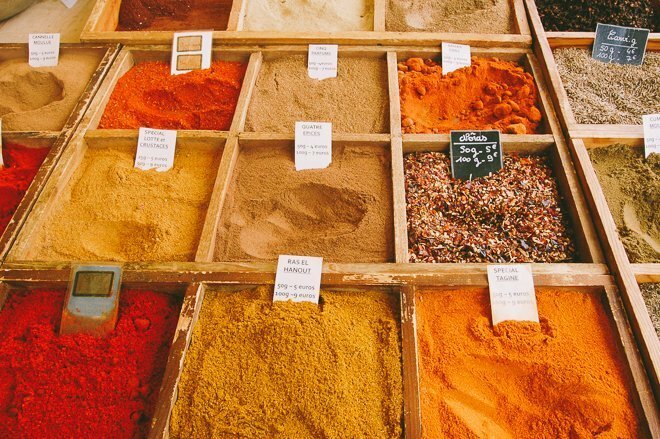 Open-air markets inspire the gourmet chef in all of us, or at least encourage fresher indulgences. Instead of the pre-sliced cheese in corporate packaging you will get at supermarkets, you will be given a wedge of cheese, textured rind still intact, wrapped in a sheet of paper. There’s something so satisfying about food items wrapped in paper rather than plastic. When we see food in a less sterile setting, we can appreciate its origins more. This is something near and dear to the hearts of the French people. 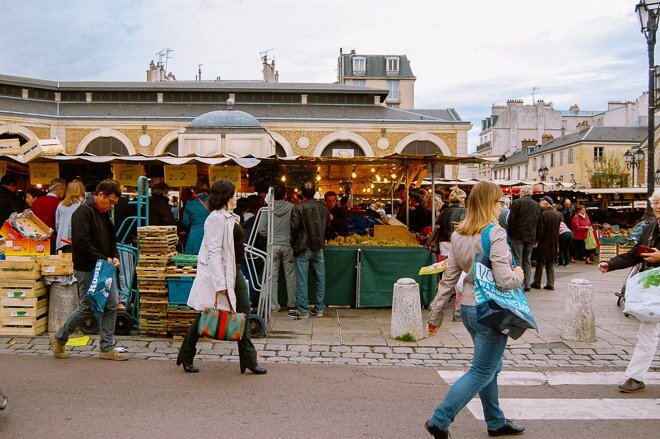 So when you think you’ve visited all of the beautiful open-air markets in Paris, then it’s time to head to Versailles for more than royal palaces and regal gardens. The Versailles Market is worth the trip alone! 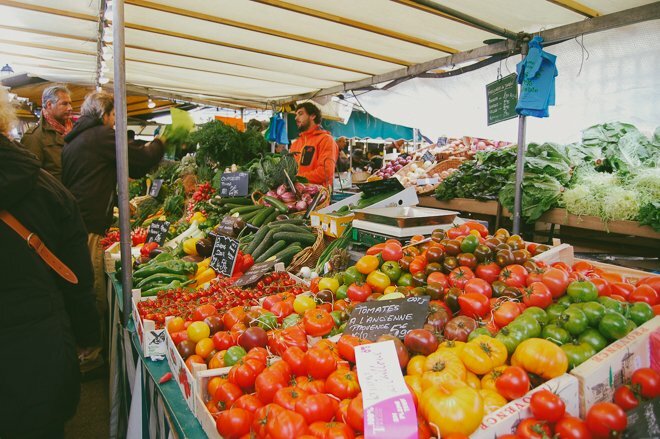 The indoor-outdoor food market in the city of Versailles is one of the largest in the region, offering you literally anything you could dream of. 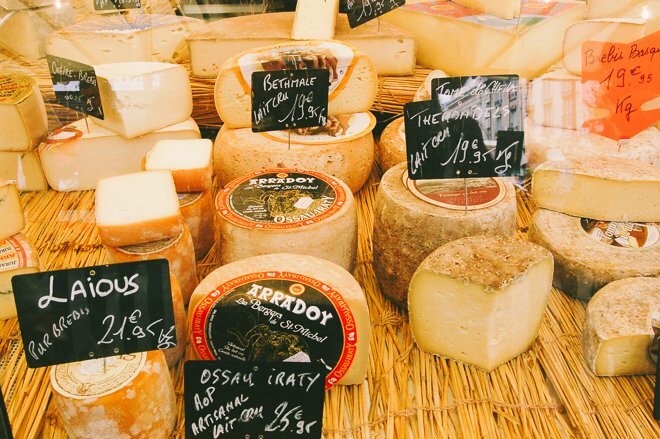 Artisan cheeses from every region, all kinds of produce, bread and pastries, candy, exotic fruits, wine, flowers, cured meats, fresh fish and even hot food like rotisserie chickens and fresh crêpes. The market is held in the Place du Marché Notre Dame, an expansive square framed by four L-shaped buildings, or halles. In the outdoor section of the market, you will find the bulk of the produce, all arranged beautifully. 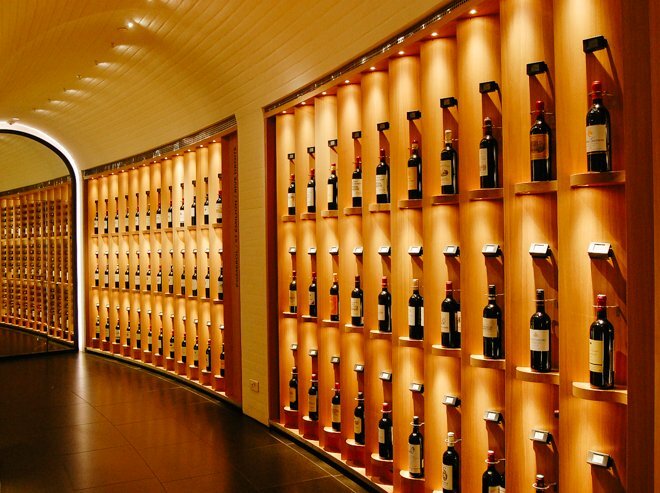 Beyond fruits and vegetables, you will also find cheese, eggs, flowers, marinated olives, spices, dried fruits and nuts. The four halles encompassing the market contain less produce but more meat and prepared food. 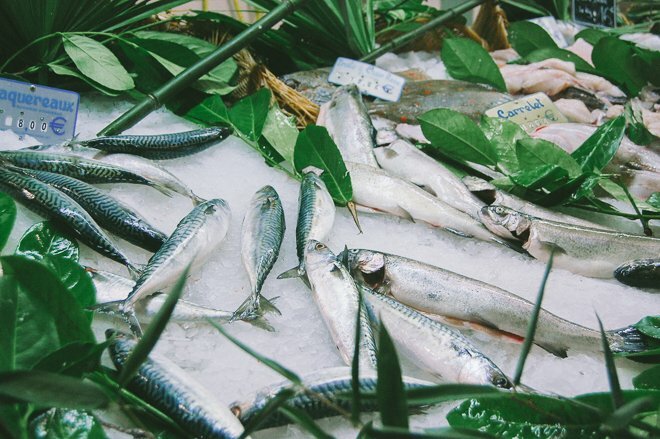 Dried sausages, fresh fish, oysters, and hot dishes like crêpes, paella and Greek dishes. Also around the square are various restaurants, cafés and bakeries. If you aren’t in the mood for a picnic, you can take your pick among different types of restaurants: traditional French, Moroccan, Thai, Italian and sushi, just to name a few. 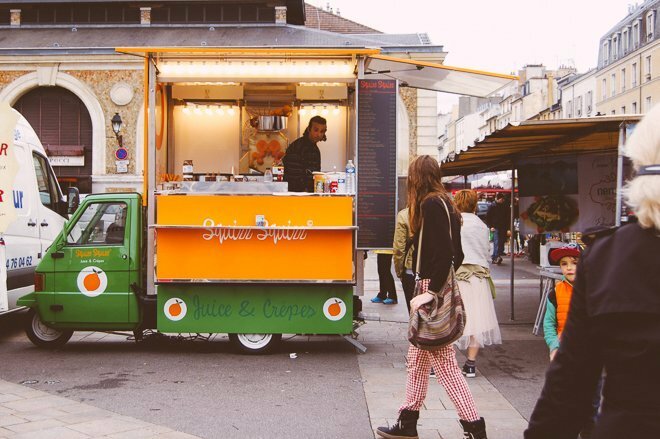 There is also usually a truck that sells freshly-squeezed orange juice! The outdoor market runs every Tuesday, Friday and Sunday from 7am to 2pm, but the indoor covered halls run everyday except Monday. 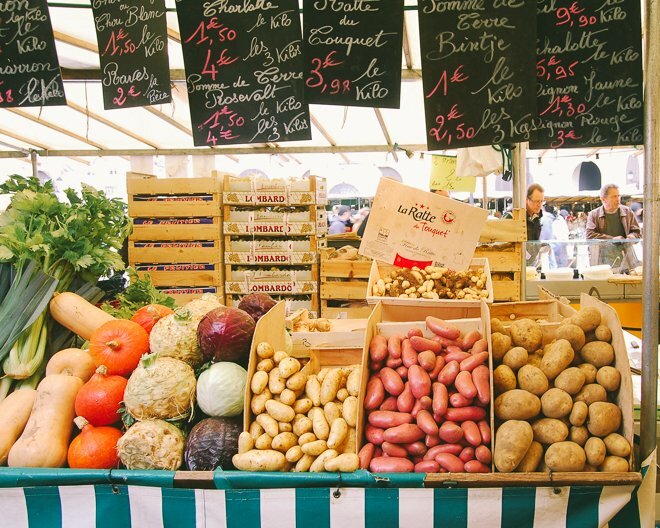 If you plan on making a day-trip to the Château de Versailles, I highly suggest coming on one of these market days. 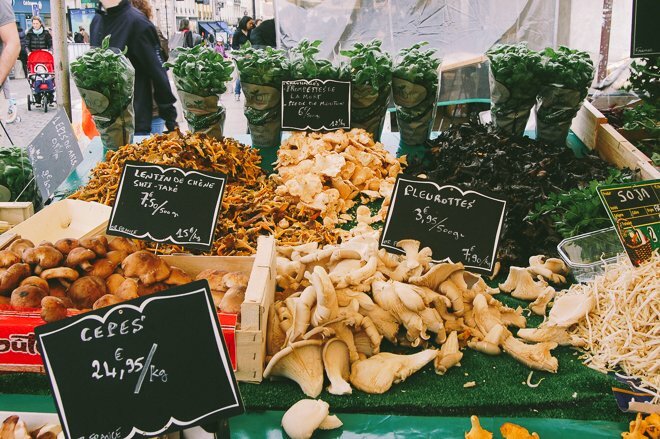 The Place du Marché Notre Dame is not far from the palace, and after a long wander through the ornate rooms and extensive gardens, both your feet and brain will be longing for a food break. You can either grab some picnic supplies in the morning on your way to the Château, or head on over later in the evening to enjoy one of the restaurants. None of the restaurants in the market square are touristy. In fact, they’re always full of locals, which is always a great thing to experience when traveling! One last tip: For the antique lovers, there is an excellent network of antique retailers in the alleyways around Passage de la Geôle. Posted on Wednesday, November 26th, 2014 at 7:14 am in Food & Drink. You can follow any responses to this entry through the RSS 2.0 feed. You can leave a response, or trackback from your own site.